TRIBULUS TERRESTRIS by Gold Nutrition increases muscle mass and improves erections, increasing testosterone levels to a high degree and in a 100% natural manner. Unlike dehydroepiandrosterone (DHEA) or androstenedione which simply act as precursors to testosterone, TRIBULUS TERRESTRIS increases levels of testosterone, increasing levels of the luteinizing hormone (LH). LH is responsible for the creation of Leydig cells in the testicles for the release of endogenous testosterone. Diverse studies have shown an increase of over 50% in testosterone levels when taking the herb tribulus terrestris. 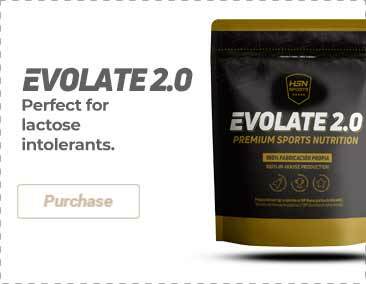 Increased levels of testosterone favour the synthesis of proteins, the positive balance of nitrogen, as well as a quicker recovery from muscle tension. This plant has also been proven to increase the production of sperm and virility. Dicalcium phosphate, maltodextrin, tricalcium phosphate, magnesium stearate (plant origin), silica, coating agent (hydroxypropylmethylcellulose, microcrystalline cellulose, stearic acid, coloring agents E171, E131, E104, E172). Take 2 tablets a day, one in the morning and another at bedtime.